When looking for a livestock guardian dog for your herd or flock there are many options to choice from. There is the Anatolian Shepard, Maremma Sheepdog, Karakachan, and the Great Pyrenees. In the working dog class there are even more breeds. These are just the ones that many use commonly for their herds. Most have similar characteristics to each other in some ways. Donald was leaning towards the Anatolian Shepard at first when we decided to get a LGD for our herd of Nigerian Dwarf goats. It wasn't hard to sell him on the charms of the GPs in the end. 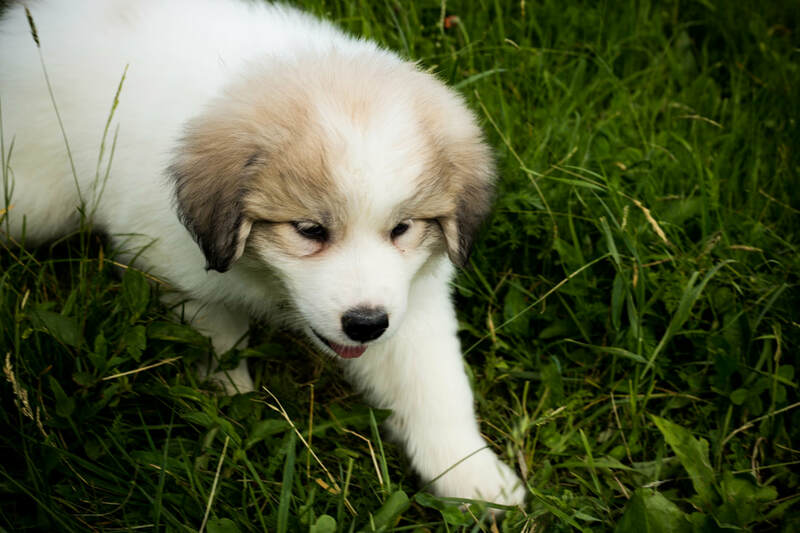 The Great Pyrenees came from the Pyrenees Mountains that is a natural border between France and Spain. They were bred centuries ago to work with shepherds guarding over their flocks from savage prey hungry beasts and bandits. These wonderful working dogs are known for their patience. Plus their ability to be out in the cold for many long hours and days doing the job they are assigned to. We have heard stories of GPs taking on bears and wolves, never backing down. In the end many of them come out victorious. To own a great pyr is not something one should just dive into. You definitely want to make sure that you are willing to put the time into working with them. They are also wanderers. A good fenced in yard is a must. Underground fencing or collared fencing will not work. These pups have dual coats that cover their whole body. Another aspect is we are not sure how they keep their coats white, but they do. Sweet time with pups & Kaity. 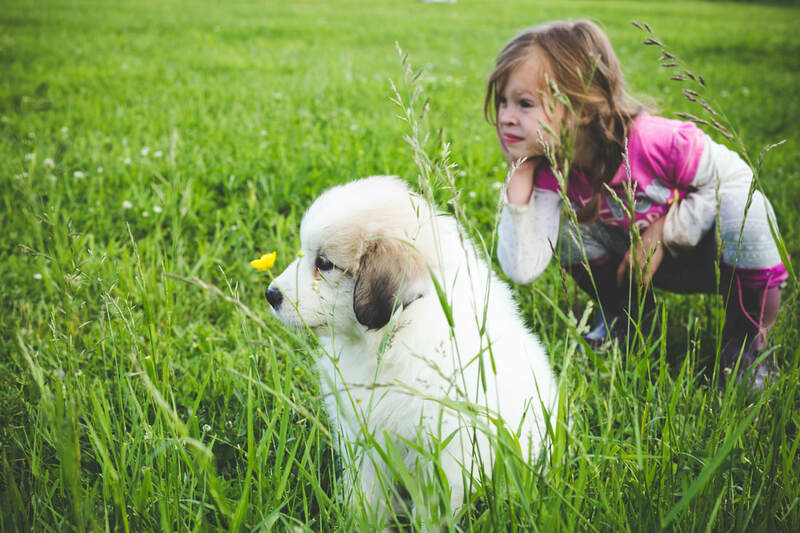 Whatever your purpose of considering a Great Pyranees into your life, either as a pet or livestock guardian dog, this breed does not disappointment you. We love them. Looking forward to adding a few more in the future to our herd and family. Their size and gentleness makes our family and little farm complete. Please check out Olivia Janes and Major Paynes pages.